I have just boarded a plane to Pakistan – a work and climbing trip I had planned for quite a while. It has been very difficultÂ to leave Nepal behind, however, despite the dire situation there it wasÂ also good to see that rebuilding efforts wereÂ going on,Â people were giving you a smile in the streets of KathmanduÂ and with the aftershocks becoming less and less, confidence was slowly coming back to theÂ people. Even the atmosphere at Boudha, the largest Buddhist stupa in Nepal and holiest Tibetan Buddhist temple outside Tibet, was calm and beautiful as always when we went there on the evening after full moon. The road to recovery will be long and even though Nepal is receiving tons of aid at the moment, tourism is what the country needs to get its economy back up to speed. 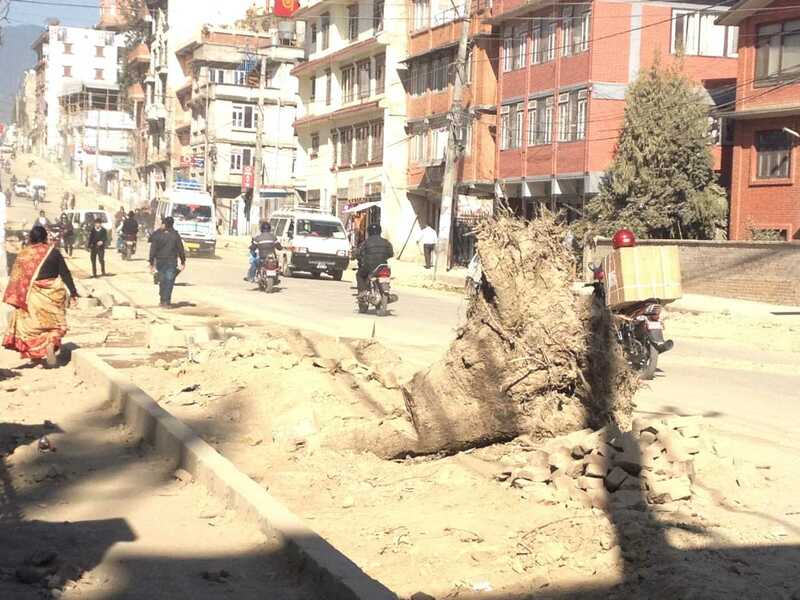 Not onlyÂ do the Nepalese have to deal with the grief for their relatives; broken or destroyed houses, loss of education due to a lot of damage to schools, and the dangers of the looming monsoon; many of them have completely lost their income. My flight to Islamabad stopped over in Muscat, Oman and I was amazed to see that I was literally the only woman and the only non-Nepali face on that plane. It was packed with Nepalese workers going to the Gulf States in search of a better life and a better income to feed their families back home. â€œWe should launch a programme to train a lot of these workers in tourism,â€ I remember tour operator Raj GyawaliÂ say during the Tourism Recovery Meeting last Wednesday. It is crazy to see how many Nepalese leave the country every single day and given that Nepal currently needs every hand for its reconstruction efforts, it makes me sad to see that these Nepali workers are forced to leave their country to earn money in a place that often treats them as second-class citizens. The better life they were yearningÂ for oftenÂ remains a dream. And of course, tourism has also ground to a halt after the two earthquakes. 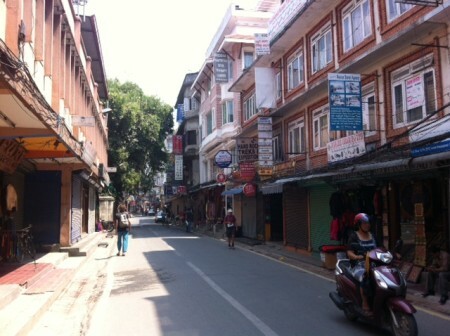 At the end of May, the streets of Thamel should have been buzzing with tourists and climbers coming back from the 8,000m peaks, but naturally they were not. 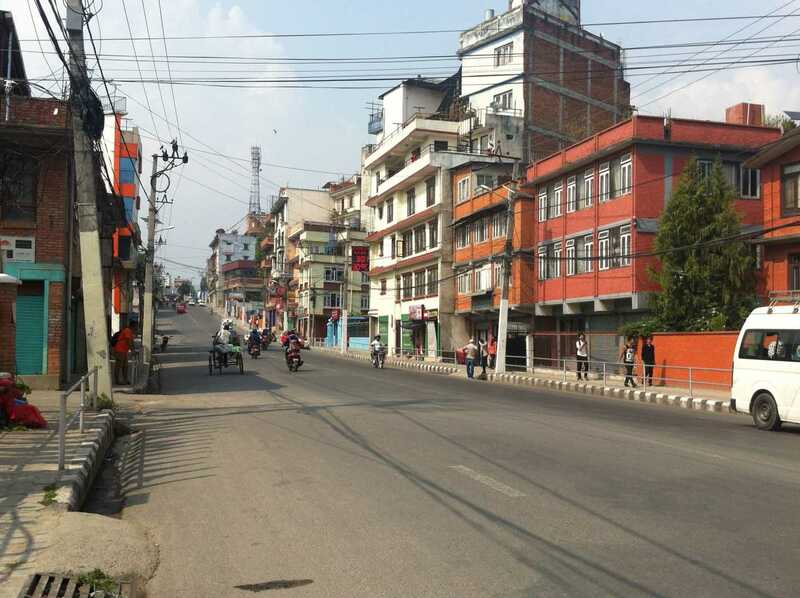 Many shops have even remained closed due to the lack of customers browsing through the wares on offer.Â Many factories are also not back in operation, which is either due to damage to the building or to the workersâ€™ fear of more aftershocks. So it is not business as usual and the economy has stopped generating income â€“ and so have the people. However, there is a lot of initiative going on in all sectors of the economy and representative in the tourism industry have come together to develop a strategy on how to get tourism back up to speed. We all agree, of course, that now is not the right time to visit Nepal as the country is still rebuilding itself and with the looming monsoon, trekking or any outdoor stuff would not be fun anyway. However, we feel that visiting Nepal in the autumn season – starting in October 2015 – is absolutely possible.Â Letâ€™s bear in mind that out of Nepal’s 75 districts, only 14 were affected by the earthquake and even though some of the major trekking routes, such as Langtang and Manaslu have been hit hard, there are still plenty of regions that remain relatively unscathed, such as the Kangchenjunga region in the far east or Mustang and Humla and the north. I will definitely keep you posted but if youÂ choose your destination carefully, I am sure you will enjoy a trip to Nepal in the autumn. And it will definitely support the country’s economy and its people. Well – and now I am offÂ to Broad Peak. 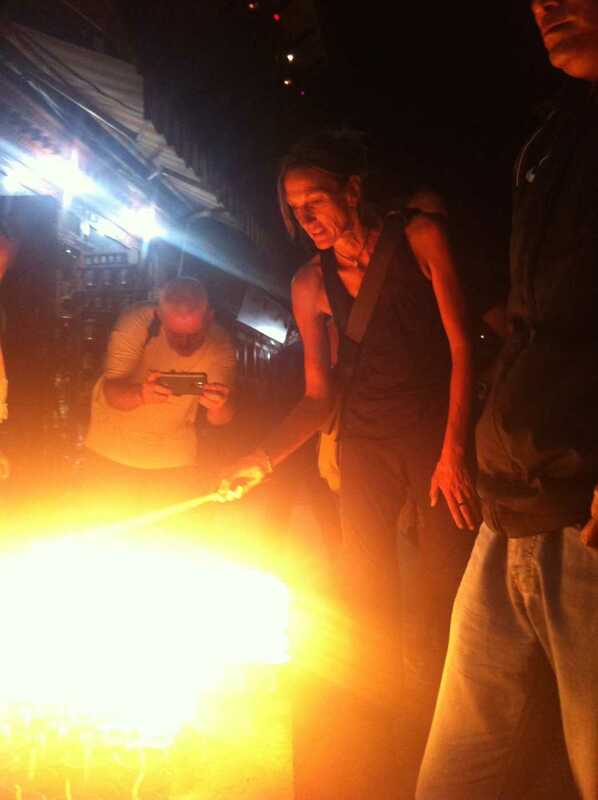 It has been hard for me to decide whether it is the right thing to do given what has beenÂ happening in Nepal. However, after having spoken to many people and havingÂ been assured that ourÂ Sherpas were keen on going as they needed the income, I decided to stick to my original plan and embark on this climbing trip. After working at the SDC office in Islamabad for one week, I am scheduled to fly to Skardu on 16th June from where we will take a jeep to Askole and start our eight-day-trek to base camp. Most of the peopleÂ on Russell’s expedition are actually attempting K2 – which at 8,611m is the second highest mountain in the world – but as this mountain is far beyond my abilities, I have opted for a lower option, which is Broad Peak. I guess that one of the great advantages of climbing Broad Peak as opposed to K2 is the fact that on your climb you get a great view of K2, which is probably one of the most beautiful mountains in the world while the K2 climbers can only gaze at the wide lump of Broad Peak ;-). The 8,047m-peakÂ was first climbed by an Austrian expedition consisting of HermanÂ Buhl, the first ascender ofÂ Nanga Parbat in 1953, Kurt Diemberger, Markus Schmuck and Fritz Wintersteller. The sad story about this expedition was that Buhl never got to celebrate his first ascent of the 12ht highest peak in the world. After having completed Broad Peak, Buhl and Diemberger climbed the nearby Chogalisa â€“ an attempt Buhl had to pay with his life. I will try and update my site as often as I can depending on communications in the Karakoram. But for now I wish you all a great summer and I hope that the people of Nepal will be strong, not lose hope and join forces to make Nepal stronger and more beautiful than ever. Thanks for the positive view on what is happening in Nepal right now. So very good to know. Go well, be safe and wishing you every success on your next 8’000 m peak. Habe ihn sehr gerne gelesen und er hat viel Optimismus verbreitet, dass es in dem darbenden Land sicherlich wieder aufwÃ¤rts gehen wird. 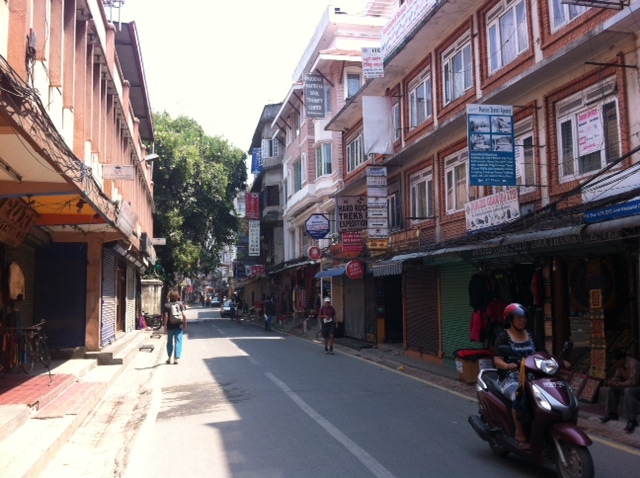 Thanks for words about Nepal and i hope you will see more exciting development very soon. Keep safe Billi and enjoy your adventure. Thanks for the update on Nepal. I intend to go back one day. I love the Nepalese people and I love the beauty of Nepal. Enjoy your climb and be safe. 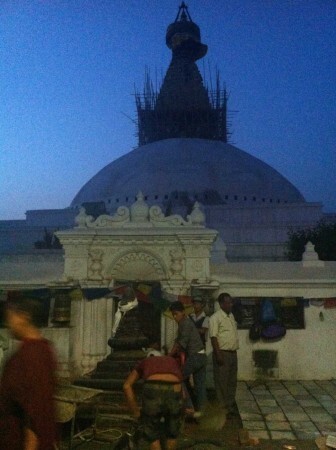 I’ll be back to Nepal as soon as I can. Can’t wait to see Phurba and Russ in the Sherpa Film. As always, a huge thank you for keeping us up to date with Nepal, and yes, we all must try and visit Nepal to help aid its recovery. Wishing you the best of luck on Broad Peak, go get them girl. Thanks for important notes about Nepal and wish you best of luck on Broad Peak.